FREE FOOD! That’s really all I need to hear! 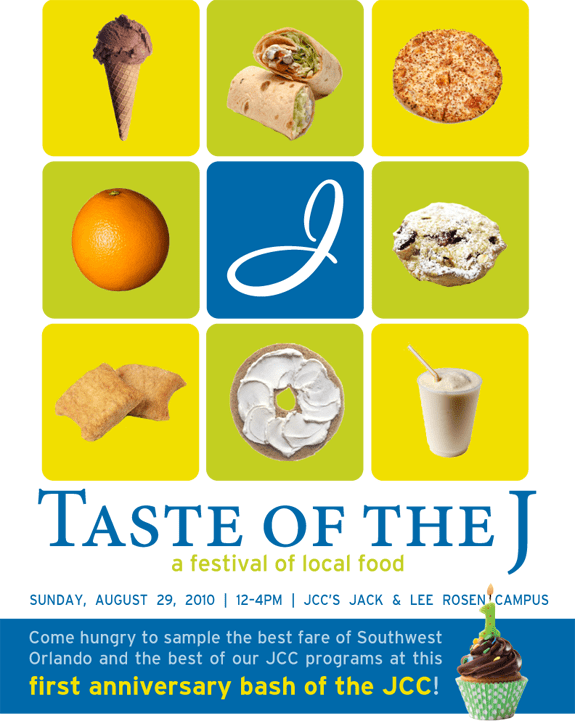 And you can find it at the JCC of South Orlando’s annual “Tast of the J.” This Sunday (8/29) from 12pm-4pm, Central Floridians can sample food from some of the best area restaurants. And to work off all that free food there will be yoga and Zumba classes offered, too. Don’t think we’ll be able to make this event (there’s so much going on this weekend), so if you end-up going we’d love to hear all about it! More information can be found here.